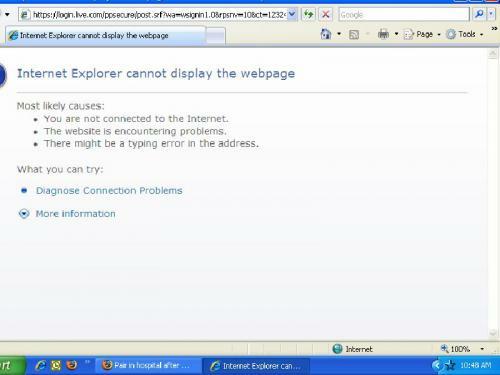 Try starting IE7 without addons, see if it works. If so then use Tools / Internet Options to disable addons one at a time until you find the culprit. How do i provide a screen shot and paste it to the message board?? On your keyboard there is a button called 'Print Screen' usually in the top right hand side next to F12 in my case. Press 'Print Screen' to take the screenshot and then click Start and click Run. Type 'mspaint' without the quotes and click anywhere on the white page and then on your keybaord, press and hold Ctrl and press the later V to paste the image. Go to Fileand Save As. Save the image to your desktop as a *.jpg (where * is the filename e.g picture.jpg) and reply to this message and underneath where you type there is an option to 'Choose' an attachment. Browse to your *.jpg and click it so the path shows in the box and then click Upload. I will then be able to see the screenshot you taken. 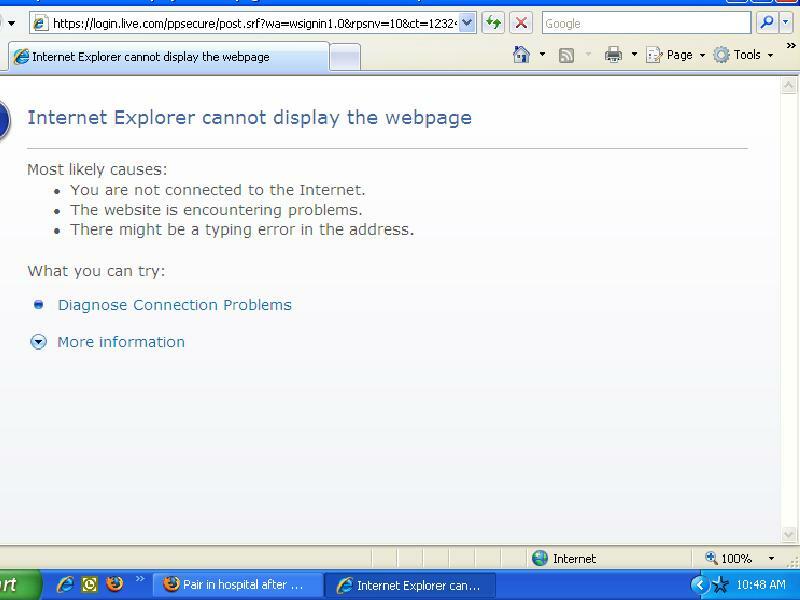 "Internet Explorer cannot display the webpage". However, I did notice that you don't have difficulties opening other pages. There should be a checkmark / Tick in each. Place one if none is present. In the case you have to place one / two, click the radio button apply at bottom. Close down active windows, restart IE and see how it goes. Otherwise, there is always the troubleshooting guide provided by MS to try. Edited by Abydos, 19 January 2009 - 07:49 PM.